As the Christmas and festive season soon will be upon us, getting a head start on some of your Christmas crafting and sewing is a great way to get in the mood. Hosted by @ohhowsweetco and together with @claireturpindesigns and myself - @tiedwitharibbon we are working on a Sew Along to make this beautiful Tree Skirt. This will keep you on track with your sewing and make sure that you have time for all the other things too. The #YuleTideSAL will start on October 5th with a 6 week duration. It is not to say that it is such a big project that it needs 6 weeks, the idea is that it gives you time to work around everything else happening at such a busy time in an enjoyable and fuss free manner. The Pattern is available here - Yule Tide Tree Skirt at by using the code: YULETIDE at the checkout you will get 15% discount not only off that pattern but everything else in my Etsy store. The Pattern is also available wholesale at Creative Abundance if you are a store interested in carrying this design. All the requirements are listed on the pattern and this is a great pattern to co-ordinate to your favourite Christmas colours or to use up even your scraps from your basket. 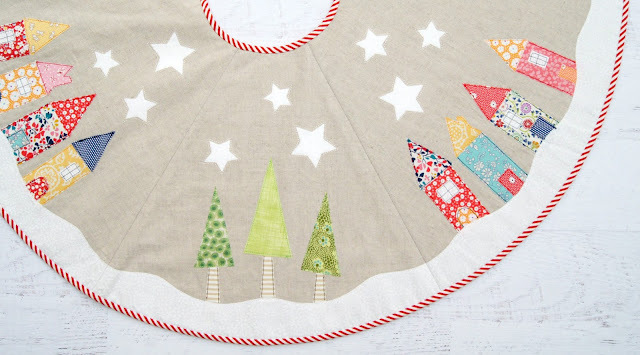 We have used a linen for the Background of the Tree Skirt. This gave a neutral base to add lots of colour and cheer to the skirt. We have used a mix of 1930's prints and Liberty Fabrics for a fairly modern look. You can certainly keep it as traditional or modern as you like. 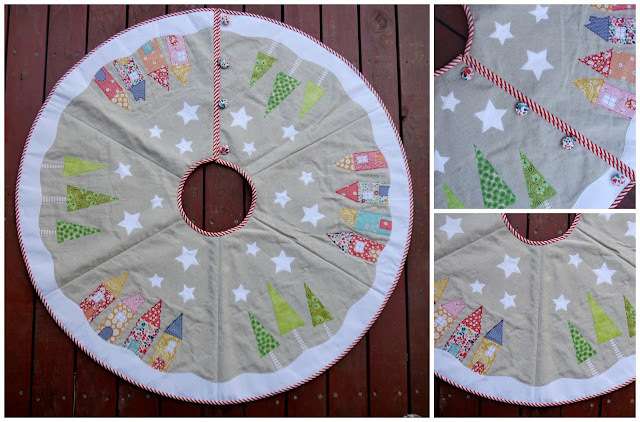 This pattern lets you create a very personalised Tree Skirt to suit your family. 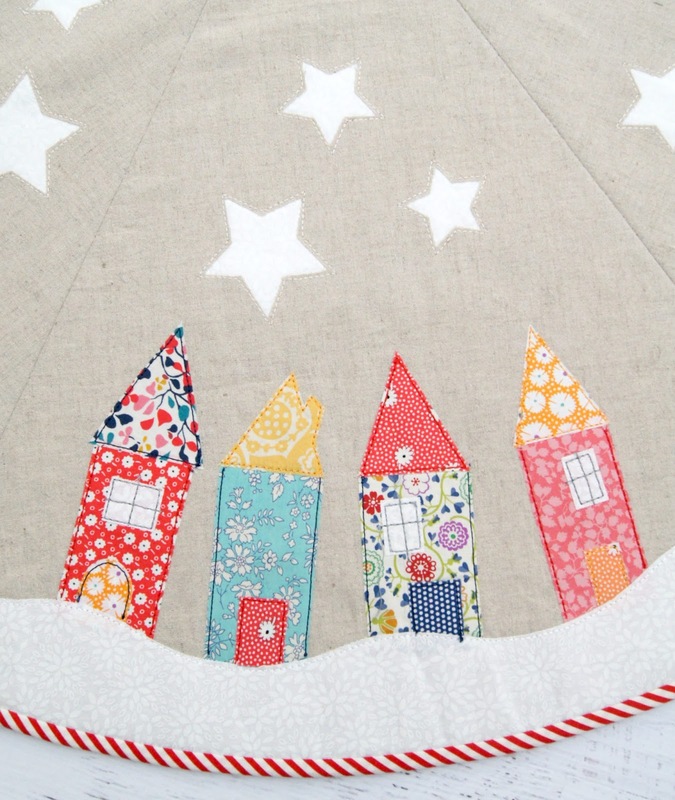 There will be lots of fun along the way for this Sew Along and some prizes planned. So we can see every ones progress we are using the Hash tag - yuletidesal (#yuletidesal) over on Instagram.